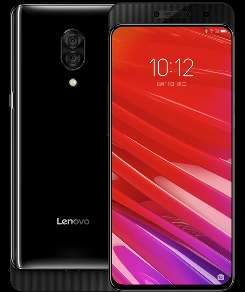 After Mi mix and Magic 2, another phone has come up with sliding camera system.Now this time it has been launched by Chinese phone maker Lenovo.The new handset has been named as Lenovo Z5 Pro and it offers sliding camera with decent hardwares at reasonable price. The Lenovo Z5 Pro comes with a 6.39-inch AMOLED Display with FHD + Resolution, which uses 95.6% screen to body ratio because of its sliding camera technology.There is a fingerprint print sensor is included in the phone's display as well.Its display has been protected with Gorilla Glass 5. 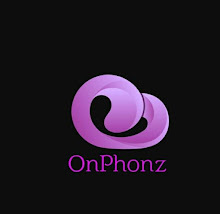 There are 2.2GHz Snapdragon 710 octa core processor and Adreno 616 GPU are used to phone's performance.The CPU has been optimised with 6GB RAM and 64GB or 128GB internal storage.The above phone runs on Android 8.1 Oreo based ZUI 10. The 3350 mA battery is used for the electronic input. The back camera of the phone is equipped with two cameras featuring 16MP with Sony IMX519 lens f/1.8 aperture and 24MP with SONY IMX576 f/1.8 aperture.Its duel tone LED flash, PDAF, HDR supported are capable of illustrating videos from 720p to 4K resolution.In the front, the slider is hiding 16MP camera with a f / 2.2 aperture and another camera of 8MP to take selfie. The Lenovo Z5 Pro has a height of 155.12mm, 73.04 mm wide,9.3 mm thickness while its weight is 210 gm. Dual nano sim supported phone has 4G VoLTE, GPS / GLONASS, Bluetooth, Wifi 802.11 a / b / g / n / ac, Wifi hotspot, USB TypeC, and 3.5mm audio jack for connectivities.Along with its indisplay finger print scanner,it is arriving with Gravity,proximity,light sensor,gyroscope and Dolby Atmosphere,USB TypeC for enhancing audios. The Lenovo Z5 Pro is priced at $ 290 for 6GB + 64GB model, but it will cost around $ 330 for 6GB + 128GB variant.Starting from November 10, this phone will be available to buy only in black color.